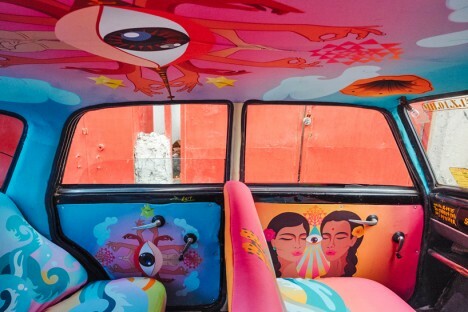 Thousands of people get to gaze at beautiful original artwork while taking a ride from one place to another in Mumbai, India, bringing exposure to local design talent through a new form of urban art. 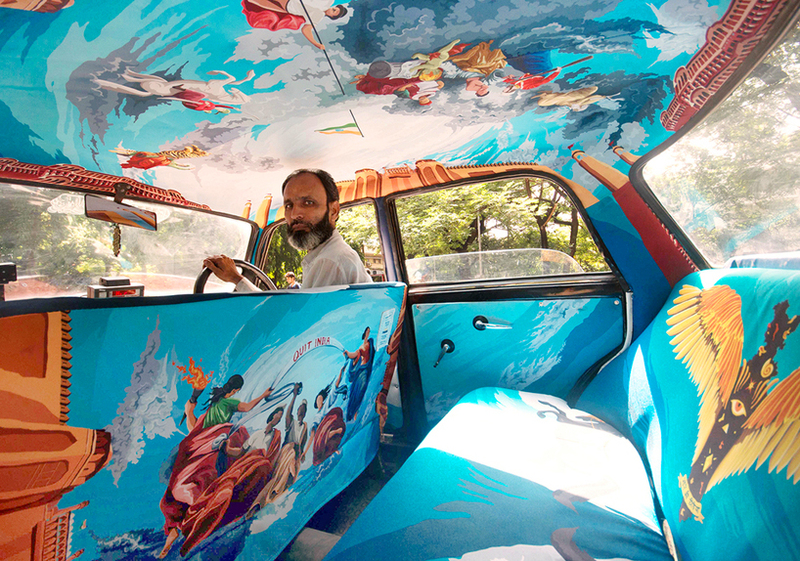 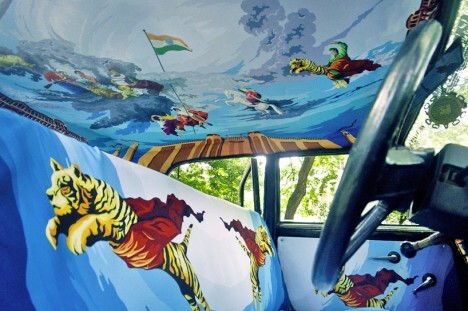 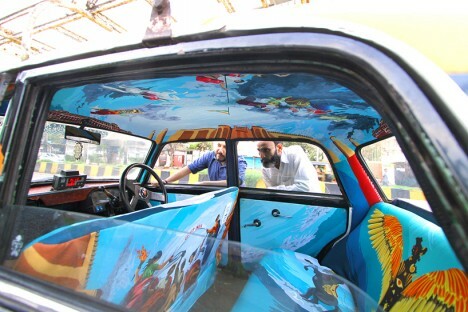 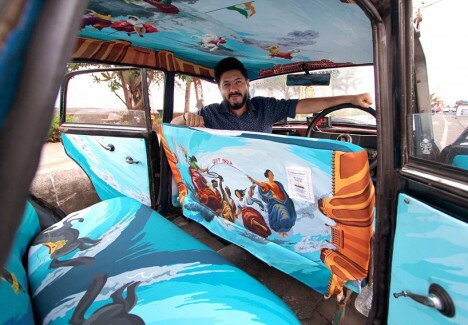 The Taxi Fabric Project beautifies this often impersonal mode of transport, making cabs stand out as individuals in a crowded sea of cars and creating mobile galleries that immerse riders in a particular artist’s imagined world. 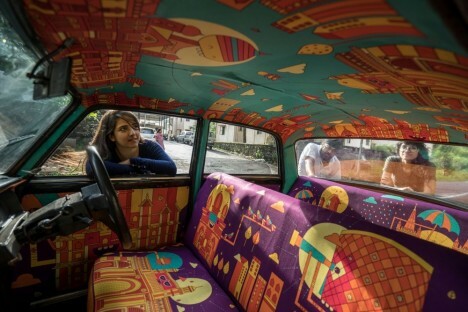 In a city where cabs are the most convenient and common way to get around, this unusual mashup of art and transportation has the potential to get a lot of people excited about design and curious about the artists. 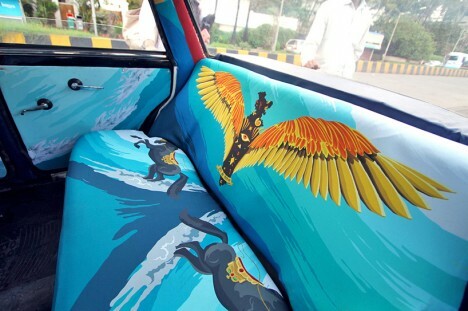 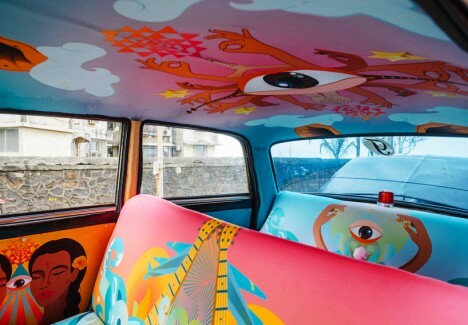 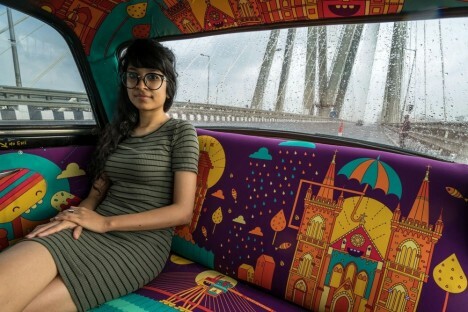 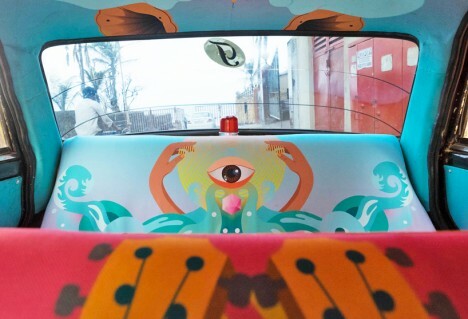 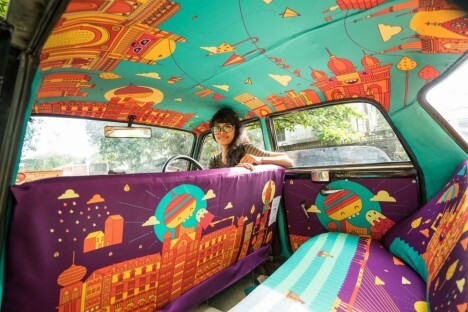 Up to 30 taxis will be made over for the project, printing colorful works onto fabric and stitching it directly to the interior surfaces of each car. 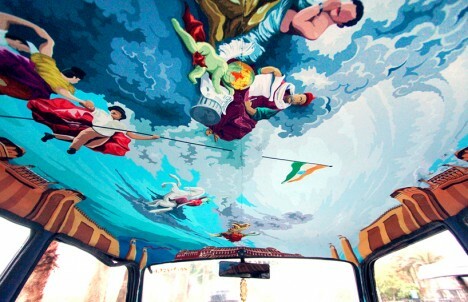 One notable example is ‘A Century of Revolt’ by Kunel Gaur, which illustrates the Indian Independence in a fresco-inspired style. 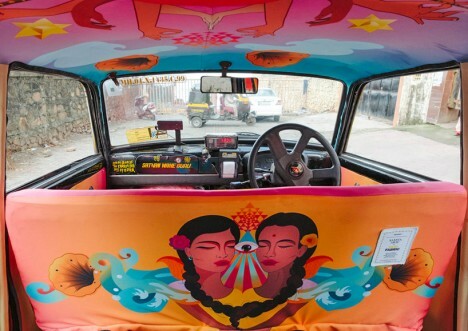 Another – ‘Monad’ by Samia Arif – reminds Indians how similar their culture is to that of neighboring Pakistan, while conflicts continue to rage between the two countries.